The crown jewel of Yosemite dining, the award-winning restaurant is both magnificent and intimate. The 34-foot-high beamed ceiling, floor-to-ceiling windows, chandeliers, linen tablecloths and beautiful china create the perfect ambiance for a memorable dining experience. The imaginative menu developed by the hotel’s executive chef is based on traditional American cuisine. 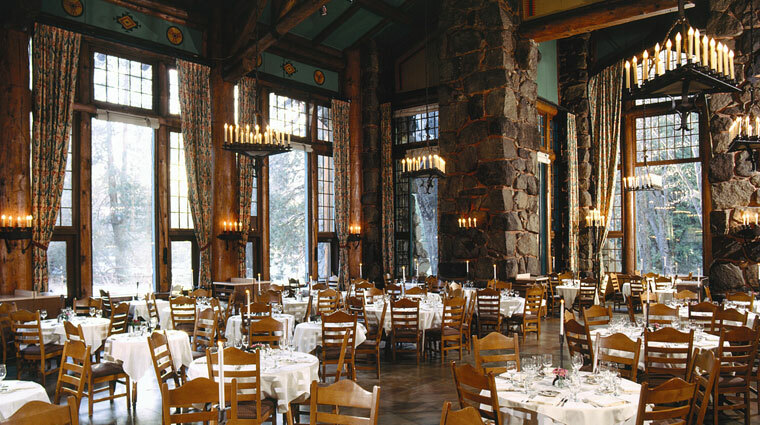 The Ahwahnee features an outstanding selection of domestic and imported wines to complement the menu.